The Judges of the New York State Court of Appeals will convene to discuss the court's procedure and inner workings for the Albany Law Review's Seventh Annual Chief Judge Lawrence H. Cooke State Constitutional Commentary Symposium on March 21, 2013. 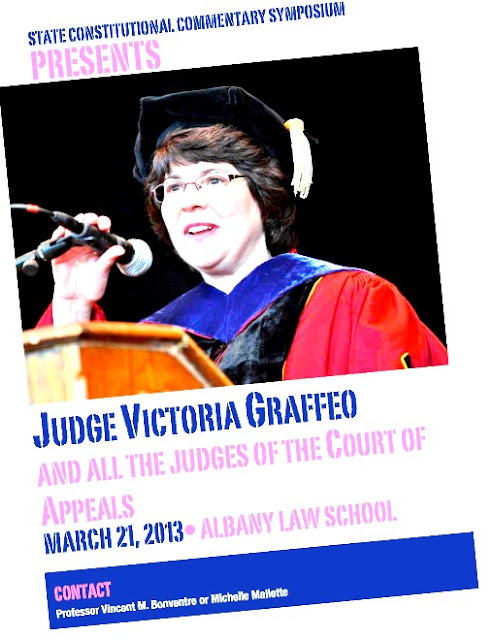 "The New York Court of Appeals: The Untold Secrets of Eagle Street," free and open to the public, will be held in Albany Law School's Dean Alexander Moot Courtroom on Thursday, March 21, from 5:00 p.m. to 7:00 p.m. For more information, contact Michelle Mallette, Albany Law Review editor for state constitutional commentary, at mmallette@albanylaw.edu or Professor Vincent Bonventre at vbonv@albanylaw.edu or 518-472-5856. 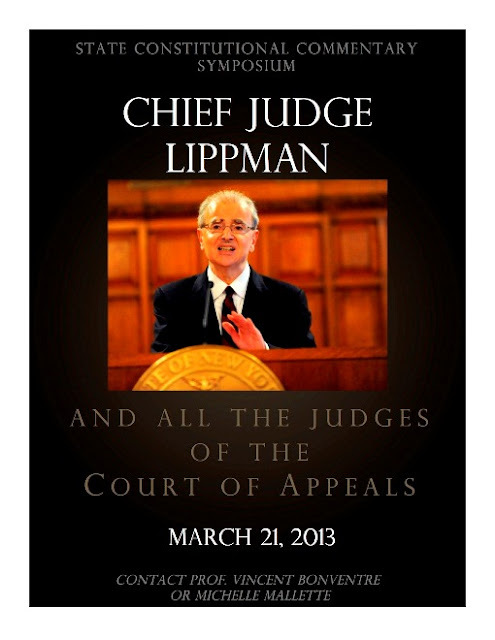 The Albany Law Review started its annual tradition of honoring former New York Court of Appeals Chief Judge Lawrence H. Cooke '38 in 2007 by holding the first State Constitutional Commentary Symposium in his name. The symposium provides a forum to explore issues and developments in state courts, state public law and state-federal relations.